Where can you find the “Upgrade to and Installation of SQL Server 2008(R2)/ 2012/ 2014/ 2016 in an SAP Environment” Guides? They have been moved from the SAP Service Marketplace to the SAP Help Portal. 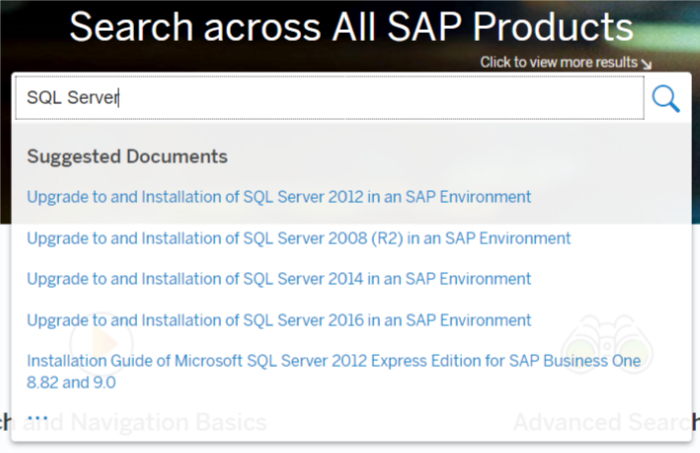 You can also find these guides via the SAP NetWeaver GuideFinder. Filter for “Upgrade to a new database version” and “MS SQL Server” and you should find them. This is good news, trust me. To access these guides, you no longer have to log on to the SAP Service Marketplace. The Help Portal is accessible for everyone. This is not good enough? Okay then. I also uploaded these guides in HTML format. Why would that interest you? Because it is easier. Easier to search within the document. Easier for search engines to find the content. Don’t worry, the PDF is still there.